Standardised size ketllebells & handles throughout the range minimises fatigue & slipping. 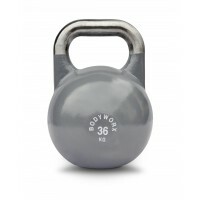 Ideal for full body workouts & those with smaller hands who want to use increased weights. 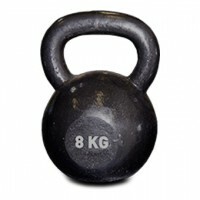 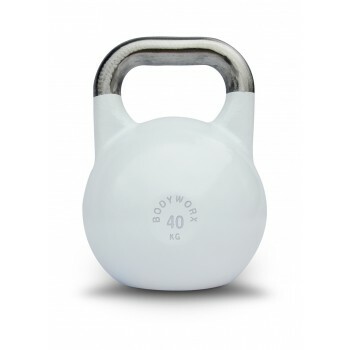 With classic style kettlebells the shape & handle diameter increases significantly as the weight increases. 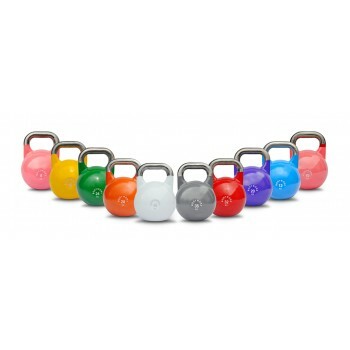 Modern ergonomic design with eye catching colours for each different weight. Steel construction (not cast iron) ensures longevity of your kettlebell set. Available Sizes: 8 KG, 10 KG, 12 KG, 16 KG, 20 KG, 24 KG, 28 KG, 32 KG, 36 KG & 40 KG. Maximum Weight Capacity: 8 KG (17.6 LBS).